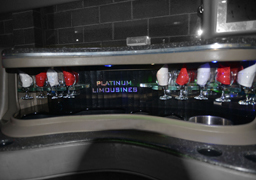 Platinum Hummer limo hire Pontefract is finished in sparkling white. 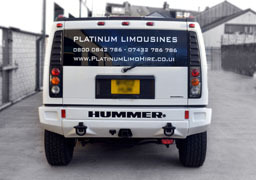 Our Hummer limo hire is guaranteed to give you an entrance in style. 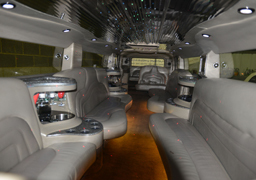 This is the perfect limo for you to sit back, fill your champagne glass and enjoy the ride. 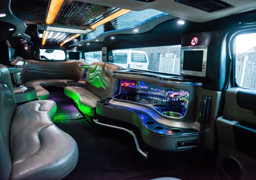 So if you and your friends want to party on the move, the changing colour fibre optics and mirrored ceiling and disco lights will be sure to get you ready for that big night out. 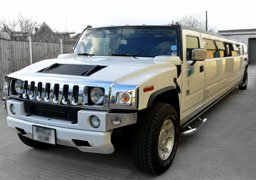 Hummer limo hire Pontefract also guarantees you a journey in style, you will never want to travel any other way again hence make your day extra special. 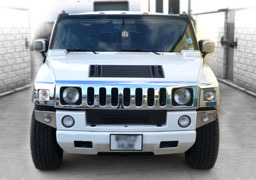 The Hummer limousines are by far the largest and also most popular limos to hire when it comes to arriving in style. 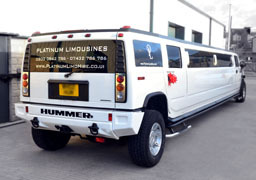 Also our selection of Hummer limousines is one of the best in the UK ranging from the standard style 16 seater Hummers to the baby Hummer (8 Seater). Furthermore these vehicles simply have to be seen to be believed, if you want to stand out from the crowd in a big way this is the perfect way to do it. 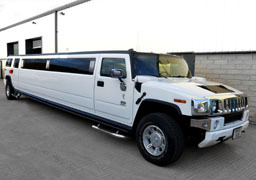 Moreover the Hummer limousine is by far the best limousine for prom Limo Hire and also wedding Limo Hire in Pontefract. Why would you book your Limo hire with anyone else ?